Hey everyone! 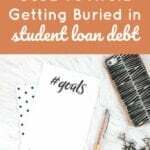 Today I have a post for the sixth week of my debt payoff series (the other five posts were How I eliminated my debt in less than 1 year, How We Handled $32,000 in Student Loans, Getting out of debt … with a plan, Debt Repayment is My Middle Name and Budgeting to Pay off Debt. I asked readers and friends to submit posts regarding anything relating to their debt. Enjoy! If you would like to participate, please e-mail me at senseofcents@gmail.com. I have huge debt. When I first decided to take my head out of the sand and face reality 6 months ago, I had over 58K in the red. 45K from student loans and 13K from credit cards. I consolidated my two credit cards with an interest rate of 12.99% and 11.99% respectively into one personal loan with a slightly lower interest rate of 11.65%. I tried pleading charming my bank into giving me a lower interest rate but they said I had no financial asset and was apparently lucky to be approved for the personal loan in the first place. Well then!!! 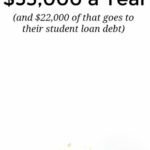 I have a plan of paying off my personal loan first, then attacking the student loan. I believe this is call the snowball method. Whatever method you choose, just make sure you have a plan. I stopped going to Starbucks everyday. I stopped buying lunch and dinner everyday and started to spend more time in my unused kitchen trying out easy recipes on the internet. Truthfully I don’t know if I will ever “like” cooking but I know my wallet is thanking me. I stopped getting salon blonde highlights, choosing to embrace my inner brunette goddess and I stopped getting regular manicures and pedicures. I stopped shopping. Not going to lie, this was HARD at first, but it does get easier. I now find other wallet-friendly activities to do like hiking! I don’t budget, and will never create an “official budget spreadsheet” but I do track my spending with a spending app on my Iphone. I wait until the end of the month when all of my fixed expenses have been paid and any leftover money goes towards debt repayment. I’m trying to find ways to earn extra income. This is still a work in progress. I started a blog and found this wonderful personal finance community where we all share a similar passion, but have different methods to go about it and I just love that diversity. I’m learning something new everyday! 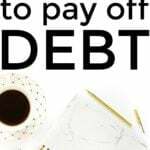 I have a long way to go in my journey to a debt-free life but the first important step has been taken because I am no longer in financial denial and looking forward to the day that I can maybe write a sequel for Michelle telling you all the things I CAN do since I will no longer be in debt. What are you doing to save money so that you can pay down debt? I know it sounds crazy, but you can save so much by stopping with the little luxuries. I do my own mani/pedis and cut my own hair- it might seem like just a little cash you save, but it adds up! My recent post Happy Friday and Some Link Love! Keep trucking along and that debt will be gone in no time! I took a Dave Ramsey tip and sold a bunch of crap while I was paying off debt! I haggled with my internet provider to reduce my payment by about $30 a month. I signed up for automatic electronic transfers and saved $5 a month on my car insurance. After my next move, I'm going to work on reducing the amount we spend on groceries each month by meal planning and couponing. I might decide to cut back on my chocolate addiction 🙂 And I continue to work on my extra income as well. My recent post Avoid My Student Loan Mistakes! When my wife and I were getting out of debt we suspended all dating activities, fast food, and luxuries (cable, etc). You're definitely on the right track, keep it up and you'll be out of debt before you know it! Great great post – seems like you're on track! The small things certainly add up. Good luck! You're doing great! It's also nice to have someone in your life (J) who will help keep you accountable and not tempt you away from your goals. Nice article. I hope things go well for you. Good luck! My recent post Whats Does it Mean to be Middle Class in America? 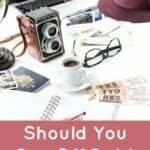 I'm curious – you didn't create a budget? 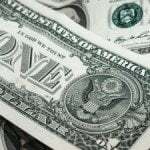 How do you analyze your incoming/outgoing cash? cutting down on the small expenses sure helps a lot! Awesome job on your first guest post! Woot! You are doing great. Cutting down on luxuries and adjusting your lifestyle is so hard, but you have done it/are doing it and will continue to pay this beast off. One of the things I've done in the past few months is cut back on eating out everyday for lunch. It adds up!